There is no doubt that butterflies are the most delicate, beautiful and colorful creatures on the planet earth. It is believed that there are over 14,000 known species of butterflies exist around the globe. Different species of the butterflies attract toward different types of plants. If you want to attract some specific species to your garden or yard, you need to know about the habits of different species of butterflies. Butterflies are cold blooded in nature and usually enjoy the warm and temperate climates and are found all over the world with few exceptions like Iceland, arid of deserts and Antarctica. It is not yet confirm that how many species of butterflies are found in the United States, however it is assumed that there are over 700 species found in the US and Canada. Butterflies usually migrate to warm regions during the cold winter months. It is important to note here that there are certain types of butterflies which are found on certain areas, depending upon their food sources. About 3,000 species of the butterflies constitute this family. These are small and fast moving butterflies and usually known as ‘skippers’. There are about 150 species of skippers found in the US. These skippers are dark brownish in color and locally known as checkered, longtail, duskywing, sootywing, and cloudywing skipper. Most of the skipper butterflies belong to the spread wing skippers and the grass skippers’ subfamilies. Spread-wing skippers get their name from the fact that they keep their wings open in resting position and the grass-wing skippers get their name from the fact that their larvae feed on grass. The skippers are usually found in brown, orange, and black with white, dark gray, cream or with yellow color markings. They bear large eyes. Almost 3,000 species of butterflies constitute this family of butterflies. The common names given to these species include gossamer-wings, hairstreaks, coppers, and elfins. These butterflies are hard to distinguish from each other for their small size and similar color and morphological characteristics. 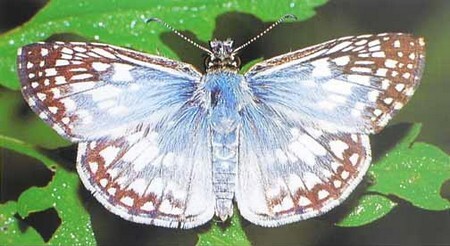 This family is often taken as the member of the super family Papilionidae. Blue species of butterflies in the subfamily is the most hardest to identify because most of the insects in the subfamily are not blue. The difficult further increases with the change of the location for the characteristics within the family differ from location to location. The only way to identify them is to have a close look from both the sides, i.e. when the wings are closed and when the wings are open as the blue species have the top and bottom markings in their wings. In US, about 50 such species are found. Coppers also belong to the Lycaenidae family and about 16 species of coppers are found in US. They are given the coppers name because of their brown, orange and copper color on their wings. These species are found in the same areas where blue species are found. Hairstreaks are also come under the Lycaenidae family. They are given this name because those small hair growth on the bottom of their tail. These are found in a particular geographical in hundred of species. These butterflies have shorter front legs than other pair of legs and hence commonly known as brush-footed butterflies because of this characteristic. This family of butterflies is considered as the largest family of the insect with over 5,000 species. Brush-footed butterflies are known by many different names which are: fritillaries, checkersopts, tortoiseshells, ladies, commas and crescents. These are relatively larger in size and found in orange color. You can often see them flying in your yard or garden. These butterflies are comparatively easy to identify, but you may have difficulty in identifying the butterflies belong to the same sub-family. The patterns on the wings can help identifying the different butterflies. The butterflies of this family have a characteristic feature of having tails at the bottom of their wings and are therefore also known as the swallowtail butterflies. There are about 500 – 600 species of this family found in the world and out of them 30 are found in the US alone. These are large in size with large wings and they seem to glide in the air instead of fly as the flapping of the wings is less as compared to other species. The caterpillar of this type of butterflies has a forked organ behind the head known as osmeterium. It is used as a defensive unit because the caterpillar secretes a foul smelling compound on feeling threatened. 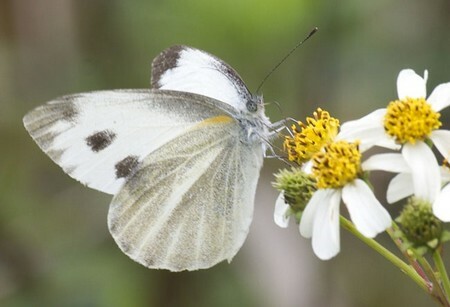 These butterflies are yellow or white in color and have over 1,000 species across the world. These butterflies are commonly found near or around the vegetable gardens such as cabbage with white butterfly. The commonly seen species of this family include the marbles, dogfaces, yellows and orange tips. There are two major subfamilies of Pieridae: white (Perinae) and yellow (Coliadinae). However, there is another subfamily with a single species called Dismorphiinae. The only species of this subfamily is mimic-whites. These are rarely found but you can see them in Rio Grande Valley, Texas in minor numbers. The yellow butterflies are further grouped into 10 genera. Of these 10 genera, most of the species belong to colias genera. This family of butterflies is also known as the metalmark because of having dramatic colors and patterns on their wings. The species of this family often placed in the Lycaenidae family or in the super family of the Papilionidae. These butterflies enjoy the non-tropical environment. There are above 1,250 species in this family of butterflies. All the species of this family have a specific habitat and even at there habitats, you will find them in small numbers. Few of the species of this family such as Northern metalmarks are found only in certain places. The species are endangered by the destruction of their habitat, spraying for gypsy moth control, fires, overcrowding of the host plants and many other ecological threats. The male members of the species have short, front legs, while female members have three pair of legs for walking. This family of butterflies is divided into three subfamilies which are: Nemeobiionae, Euselasiinae and Riodininae. Above are the different types and families of the butterflies which are further divided into subfamilies and genera. We can conclude by saying that butterflies are the beautiful creature found on earth with many different colors and varieties. 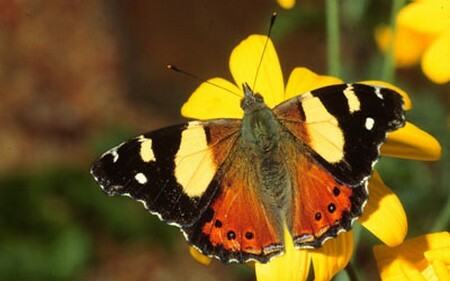 Each butterfly can be distinguished and classified from other species on the basis of their wings, colors and patterns.